﻿ A Guided Walking Tour of The Jack The Ripper Murders Sites. 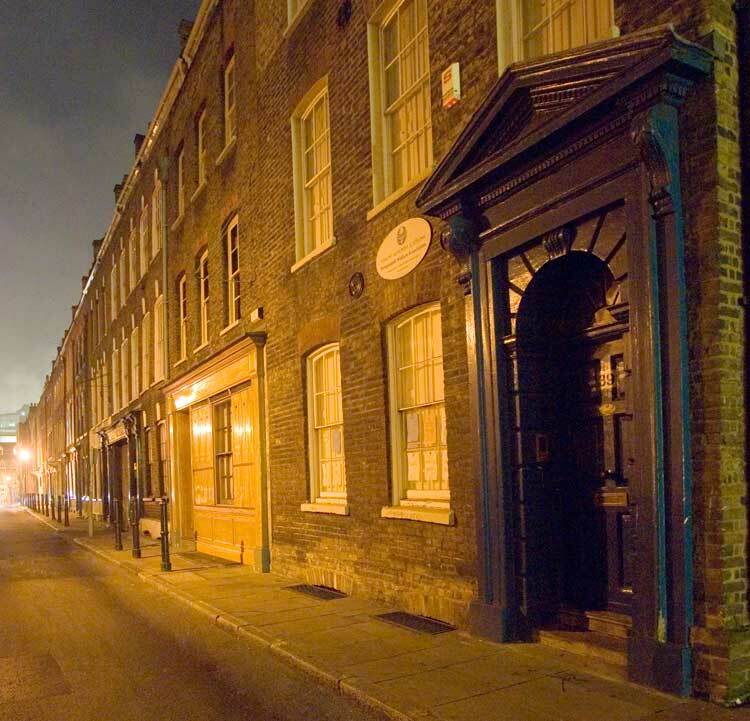 Richard Jones's nightly Jack the Ripper guided walking tour, explores the dark alleyways and atmospheric East End thoroughfares that formed the backcloth against which the Jack the Ripper saga of 1888 was played out. The tour is guided by published authors on the case - such as John Bennett, Philip Hutchinson and Richard Jones - as well as by top notch researchers who have spent years investigating the Whitechapel murders, and who are, therefore, up to speed with every facet of the mystery. Having met your guide and fellow ripper hunters - at 7pm outside Exit Four of Aldgate East Underground Station - you will step through an old archway and head straight into a sinister alleyway that will immediately immerse you in the ambience of the 19th century East End. As you make your way along it, you will pass the White Hart Pub, in the basement of which Jack the Ripper suspect George Chapman once ran his barber's shop. Almost immediately, the 21st century falls far behind you, and you find yourself following in the footsteps of Whitechapel murders victim Martha Tabram, whose death, on the 7th August, 1888, whether at the hands of Jack the Ripper, or not, heralded the start of series of crimes which, over the next few months, would bring terror and panic to the very streets through which you will be walking. Emerging from the cobbled thoroughfare, we head along Wentworth Street, which, in 1888, had a dreadful reputation for vice and villainy, and which was one of the locations frequented by a notorious early suspect "Leather Apron." Passing the corner where the very first victim on the Whitechapel murders file, Emma Smith, was attacked in April, 1888, the walk wends its way to Thrawl Street, another notorious thoroughfare that featured in the final hours of the life of victim Mary Nichols. Indeed, on the corner of this, once notorious, backwater there stands an old building that, in 1888, was the Frying Pan Pub, the very hostelry inside which Mary Ann Nichols drank away her "doss" money on the morning of her murder. Although the building is now a restaurant, if you crane your neck and look upwards, you will see two crossed frying pans, and the buildings former name, "Ye Frying Pan", in brick relief, still emblazoned on the building's upper gable. The walk will then make its way through a warren of old streets that are still as they were at the time of the murders, true time capsules from which the past had yet to depart and, as you pass through them, you will genuinely feel that you have been transported back to that long ago autumn of terror and mystery. Your guide will then deliver you, spellbound and intrigued, to Hanbury Street, where, at 6am on the morning of the 8th of September, 1888, the killer struck again and claimed the life of another victim Annie Chapman. As you will hear, it was with her murder that the general unease, which had been growing in the district for the previous month, finally erupted into full scale panic and unrest, as mobs began stalking these streets, turning their thirst for vengeance on any unfortunate individual, or individuals, that they thought might be responsible for the heinous crimes that were taking place in their very midst. At this point one of the most able officers in the Metropolitan Police, Inspector Frederick George Abberline was put in overall charge of a dedicated team of detectives, who spent many hours stalking the killer through this densely populated and crime ridden quarter, but their efforts came to naught, and the terror and unrest reached fever pitch. And, as the panic increased, the criticism of the police increased exponentially, with the result that the police found themselves facing accusations of incompetence and even of corruption. The tour captures the mood of the press and the public towards the police, and sets the record straight about some of the fake news that emerged at the time, and which has been propagated time and time against in books, films and documentaries on the Jack the Ripper mystery. Having discussed the aftermath of Annie Chapman's murder, the walk will then duck into some sinister-looking alleyways where you will find out where the name "Jack the Ripper" actually came from. It was, in fact, the chilling signature on a letter that was sent to a London news agency in September, 1888; but so apt did it seem, given the horrific nature of the crimes, it caught on immediately and helped fuel the legend that has surrounded the Whitechapel atrocities for 130 years. 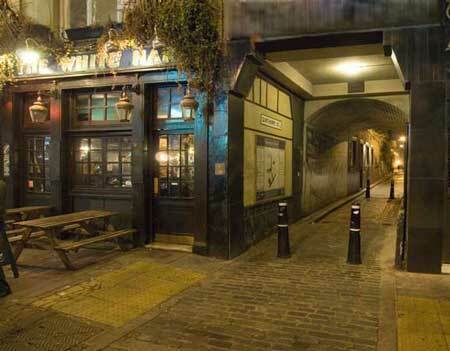 Having discussed the authenticity of the Jack the Ripper letter, the walk will then make its way to Commercial street where three buildings, The Ten Bells pub, Spitalfields Market, and Christchurch, Spitalfields, form a time-slip ensemble. The Victorian residents of the district, the victims - and possibly even Jack the Ripper himself, would have passed and looked up at these buildings on an almost daily basis. 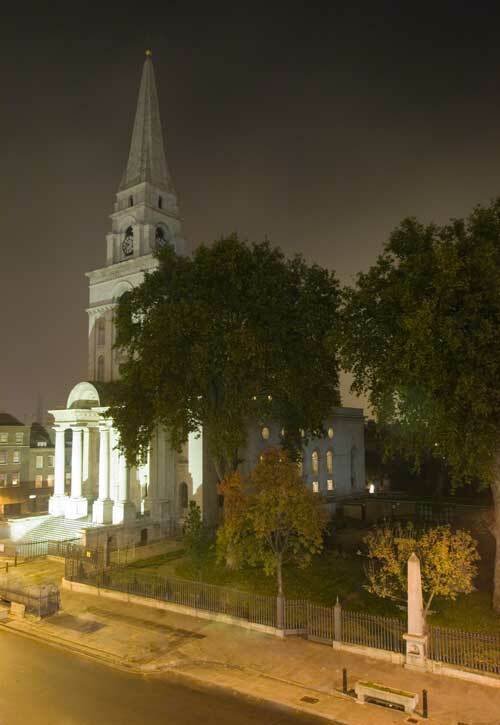 The pub itself, is a true Spitalfields institution, whereas the soaring white spire of Christchurch is a local landmark that dominates its surroundings today, just as it did back in 1888. Standing on this historic and picturesque spot, surrounded by these gloriously evocative edifices, you really will feel that you are back in the 19th century, witnessing the horror and the mystery as they unfold around you. A few steps on, and you will arrive opposite the site of Dorset Street where, on the 9th November, 1888, Mary kelly, who is widely considered to have been the final victim of Jack the Ripper, was murdered. This was the most gruesome murder of all, and it sent shivers of genuine revulsion coursing through all sections of Victorian society when news of the awful carnage that the killer had inflicted on his unfortunate victim began to spread. But, if this was the last of the Jack the Ripper atrocities, then that means that something must have happened to the killer as he walked away from 13 Miller's Court, the tiny Spitalfields room inside which he had carried out his most horrific murder. And thus, the final section of the tour will follow what few clues we now have left to us that might help us unravel the various threads of the mystery and arrive at a possible solution to the conundrum that has baffled people for 130 years - who was Jack the Ripper? Your guide will present various theories that have been put forward as to the identity of history's most infamous serial killer; but it will be left entirely to you to decide which of them, if any, you think is the likeliest. And so the guided walking tour of the murder sites will wind down. But, don't worry, your guide will not abandon you to the shadows of the mean streets through which you have just walked in pursuit of a nightmare. Indeed, you will be very close to an underground station for a speedy journey out of the area that Jack London, the American author, once dubbed "The Abyss." of course, you might like to end your evening with a pint in the Ten Bells Pub, or a curry on nearby Brick lane, both of which will be, so to speak, in striking distance of the end of the tour. Your guide will be happy to give directions or make recommendations. So if you have an interest in the crimes, and in the history of the east End of London, then join some of the world's leading authorities on the subject for a guided tour around the sites of a series of murders which, since 1888, have been captivating, fascinating and chilling people the world over. But, remember, the perpetrator was never actually caught - so stick close to your fellow tour participants as you follow in his footsteps on a walk that is well worth investigating.